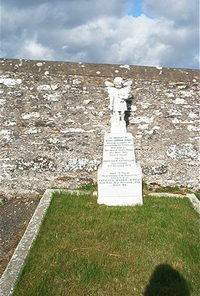 Mena Gordon Innes died at Nottingham House Forse 15th September 1931 aged 2 daughter of David and Kathleen Sutherland. David Henderson auctioneer died 11th October 1975 aged 73. Wife Kathleen Barnie Mowat died 18th October 1988 aged 84.